T helper cells (TH cells) play a pivotal role in adaptive immunity. Following antigen recognition, naïve TH cells are activated, undergo further differentiation, and secrete cytokines to promote ('help') and steer the immune response. All TH cells are positive for CD4, a co-receptor that complements the T cell receptor (TCR) to communicate with an antigen-presenting cell (APC). Miltenyi Biotec has created dedicated application protocols to expand and polarize CD4+ T cells. The main source for mouse CD4+ TH cells are single-cell suspensions from spleen and lymph nodes. The tissue must be dissociated into a single-cell suspension for many downstream applications, including isolation of cell subpopulations, cell culture, or flow cytometry analysis. Miltenyi Biotec has developed numerous products for the efficient magnetic separation of T cells in single-cell suspensions generated from mouse spleen and lymph nodes. For details on MACS® Cell Separation Technology, see the MACS handbook chapter Magnetic cell separation. CD4 (L3T4) MicroBeads, mouse, were developed for positive selection or depletion of mouse CD4+ T cells from spleen and lymphoid tissue single-cell suspensions. With only 13.5 minutes processing time from single-cell suspension to target cells, they offer the fastest way to isolate CD4+ T cells without activation or any other effect on cell biology. The non-target cell fraction can be used for a further separation round to isolate other subsets. Fast isolation of CD4+ T cells. A single-cell suspension from mouse spleen was prepared using the gentleMACS Dissociator. CD4+ T cells were isolated from this single-cell suspension using the CD4 (L3T4) MicroBeads, an LS Column, and a QuadroMACS™ Separator. Cells were fluorescently stained with CD45-VioGreen™, CD4-VioBlue® and CD8a-PE-Vio®770 and analyzed by flow cytometry using the MACSQuant® Analyzer. Viable leukocytes were gated for analysis based on scatter signals, 7-AAD Staining Solution fluorescence, and CD45 expression. As an alternative to positive selection by CD4 MicroBeads, the CD4+ T Cell Isolation Kit, mouse enables isolation of untouched CD4+ T cells from single-cell suspensions of mouse spleen and/or lymph nodes by depletion of non-CD4+ T cells. The untouched target cell fraction can be then used for a further separation round to isolate other subsets. 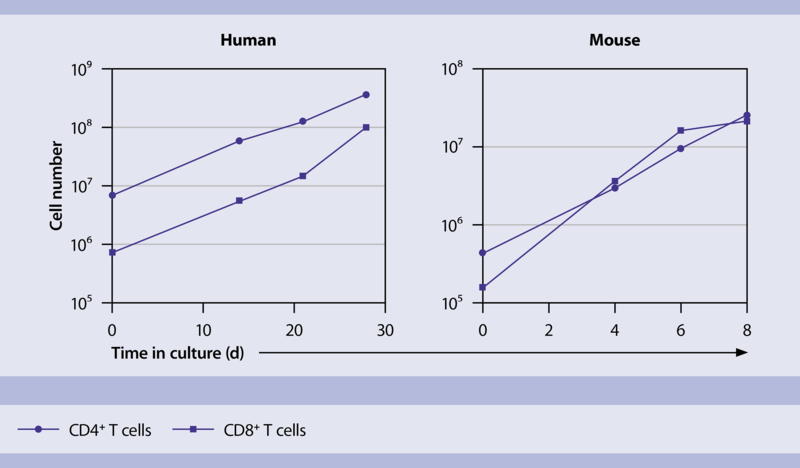 Effective isolation of untouched CD4+ T cells. A single-cell suspension from mouse spleen was prepared using the program m_spleen_01.01 on the gentleMACS Dissociator. CD4+ T cells were isolated from this single-cell suspension using the CD4+ T Cell Isolation Kit, an LS Column, and a MidiMACS™ Separator. Cells were fluorescently stained with the MC CD4 T Cell Cocktail and analyzed by flow cytometry using the MACSQuant Analyzer. Cell debris and dead cells were excluded from the analysis based on scatter signals and propidium iodide fluorescence. Specialized kits are available for the isolation of further CD4+ T cell subsets. Mouse naïve CD4+ T cells can be isolated by depletion of all memory T cells, CD8+ T cells, and non-T cell types using the Naive CD4+ T Cell Isolation Kit, mouse. Naive CD4+ T Cell Isolation Kit, mouse. Isolation of naïve CD4+ T cells from mouse spleen. Naïve CD4+ T cells were isolated from a single-cell suspension from mouse spleen using the Naive CD4+ T Cell Isolation Kit, an LS Column, and a MidiMACS Separator. Cells were fluorescently stained with CD45-VioGreen, CD4-VioBlue, CD62L-PE, CD3ε-APC-Vio770, and CD44-FITC and analyzed by flow cytometry using the MACSQuant Analyzer. Cell debris and dead cells were excluded from the analysis based on scatter signals and propidium iodide fluorescence and a gate was set on CD45+ cells. Mouse TH cell subsets and corresponding polarizing cytokines, surface markers, transcription factors, and secreted cytokines. Mouse TH cell subsets and corrsponding polarization cytokines, surface makers, transcription factors and secreted cytokines. CD4+T cell subsets and their differentiation status can be determined by flow cytometry based on their expression of cell surface markers, transcription factors, and the cytokines they produce. Miltenyi Biotec offers a vast portfolio of conventional and recombinant REAfinity™ antibodies and flow analysis kits for comprehensive analysis. 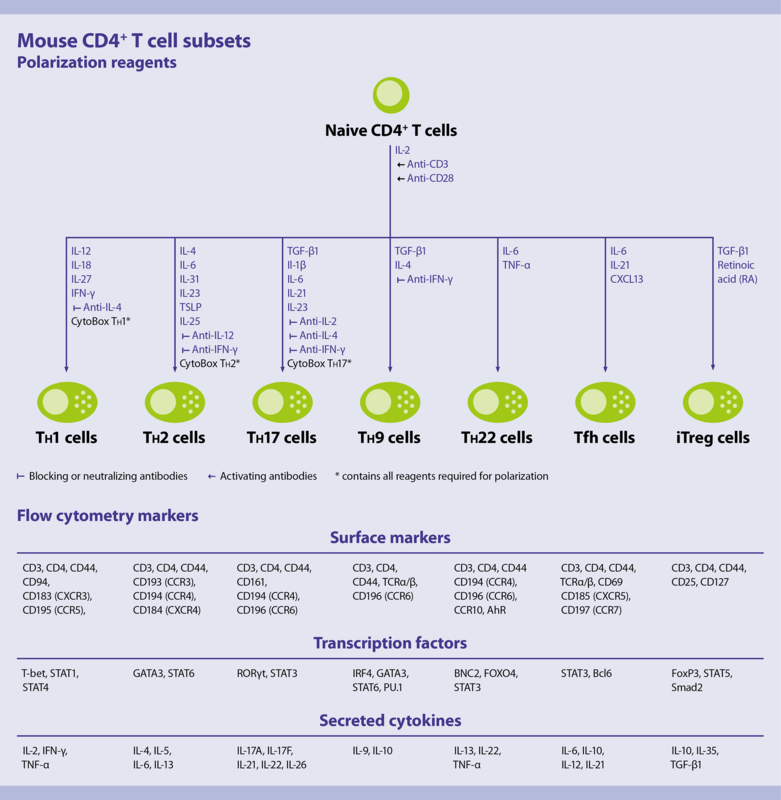 The following surface markers, cytokines, and transcription factors can be used to identify CD4+ T cells and subsets according to their development state or subtype. Miltenyi Biotec offers high-quality recombinant cytokines for cell culture, as well as reagents for polyclonal stimulation, such as the T Cell Activation/Expansion Kit, mouse. This kit employs large, cell-sized particles loaded with biotinylated antibodies to activate and expand primary cells. The particles mimic antigen-presenting cells and, when loaded with CD3 and CD28 antibodies and applied in a specific bead-to-cell ratio,lead to efficient T cell activation. 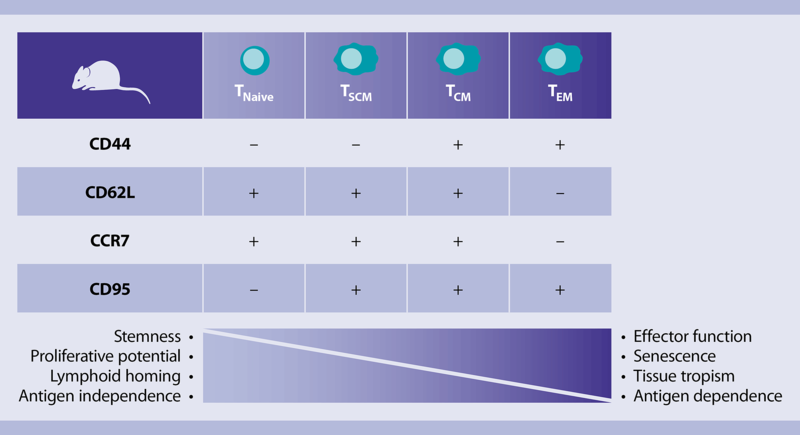 Different T cell Activation/Expansion Kits are available for the stimulation of T cells as well as Tregs with mouse, human and non-human primate origin. 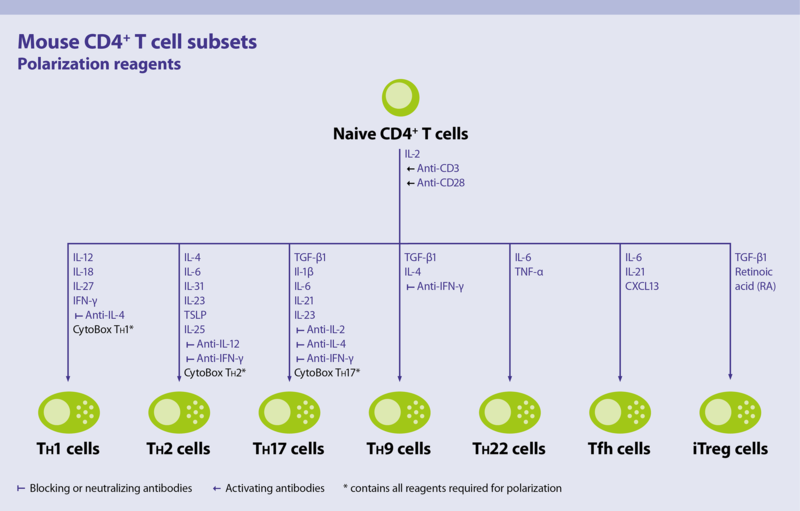 By combining polarizing cytokines and blocking or activating antibodies (‘functional-grade’), naive CD4+ cells can be differentiated into different TH cell subtypes. 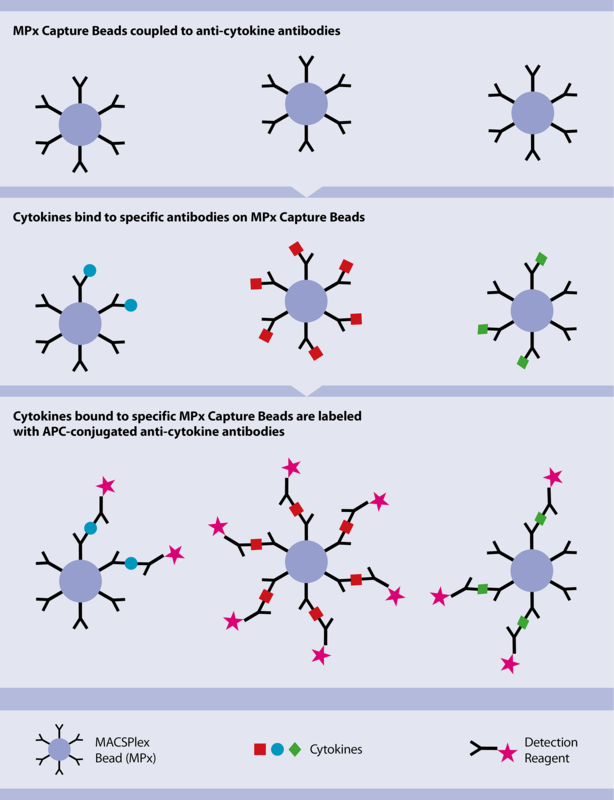 With the optimized TexMACS™ Medium, premium-grade cytokines, and a vast array of functional-grade antibodies, Miltenyi Biotec offers all the reagents required for efficient polarization of naïve CD4+ T cells. MACS cytokines and functional-grade antibodies available for mouse TH cell polarization. CytoBoxes TH1, TH2, and TH17 are the ideal tools for the polarization of mouse CD4+ T cells into the respective TH cell subset. The CytoBoxes comprise all cytokines and functional-grade antibodies needed for an efficient polarization – ready-to-use at an optimal ratio. Differentiation efficiency is boosted with the use of TexMACS Medium. For detailed information about Miltenyi Biotech media optimized for T cells, see chapter Cell culture media. Comparison of cytokine expression levels of mouse TH cells differentiated with CytoBoxes TH1, TH2 and TH17. Isolated mouse naïve CD4+ T cells were cultivated with reagents of each CytoBox in TexMACS Medium (+10% FBS) or basal medium (RPMI + 10% FBS). Lineage-specific effector cytokine expression was analyzed after differentiation. Comparison of cytokine expression levels of mouse TH cells differentiated with CytoBoxes TH1, TH2 and TH17. 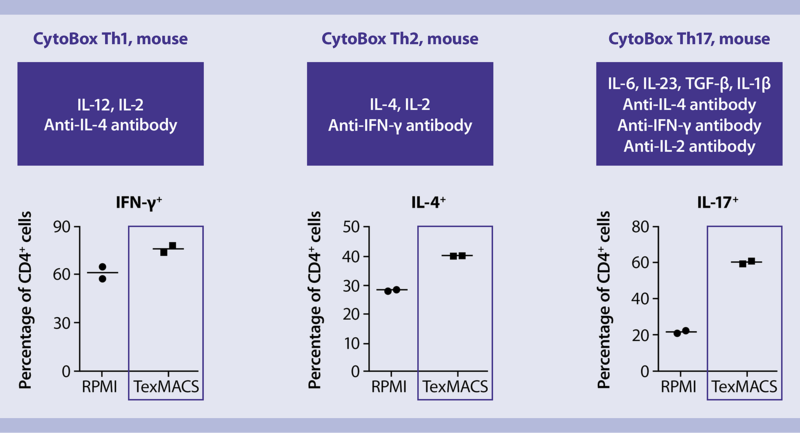 Isolated mouse naïve CD4+ T cells were cultivated with reagents of each CytoBox in TexMACS™ Medium (+10 % FBS) or basal medium (RPMI + 10 % FBS). Lineage-specific effector cytokine expression was analyzed after differentiation. Tissues must be dissociated into a single-cell suspension for many downstream applications, including isolation of cell subpopulations, cell culture, or flow cytometry analysis. The combination of mechanical dissociation and enzymatic treatment based on the gentleMACS™ Octo Dissociator with Heaters and specific Tissue Dissociation Kits enables reproducible T cell isolation. T cells can be obtained with excellent yield, high viability rate, and preserved cell epitopes even from hard-to-process tissues, including lamina propria, lung, liver and tumor. For details, see chapter Mouse cell sources.